Now that we’ve taken a few minutes to reflect on last year, it’s time to start thinking about 2014! Last year, I followed Lindsay’s lead and chose a word for the year instead of a specific list of goals to accomplish. This year, I think I’ll take a blended approach. I’m starting with a word to guide my focus for the year. Then adding in some specific goals I have in mind (although I’m giving myself the flexibility to change as appropriate this year). 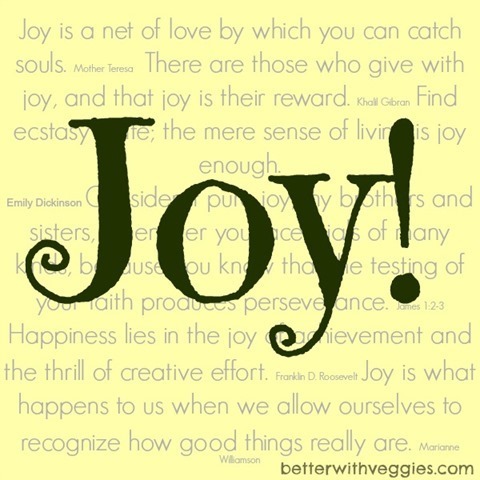 This year I’m going to focus on JOY! When I was thinking about what my focus for the should be, this one popped in my mind and I knew immediately it was the right choice. According to my Google definition search, Joy is a feeling of great pleasure and happiness. It makes me think of smiles, laughter, and a positive attitude. The opposite of someone who grumbles and complains. Finding delight in your circumstances and moving towards things that bring you joy! It also happens to be a fruit of the Spirit – something I would love to be known by! So how am I going to apply that this year? I’m going to work on my attitude and my response to situations that aren’t exactly as I want them to be. I really lived a charmed life, there’s no reason I can’t be joyful in all circumstances. I also want to move toward things that bring me joy – in my work, fitness, and daily activities. If it’s not something that brings me joy – maybe it’s time for a change? I want all my goals to support this intention! 1. Create more clean, healthy, and DELICIOUS recipes. I will be focusing more on my nutrition this year, fueling my body with foods that make me feel great and taste amazing. I want to continue to share more of these recipes with you, so that you have more vegan, vegetarian, and pescatarian healthy options to add to your own meal plan! 2. Spread the JOY! We love to spread the happiness to our friends by entertaining, but since we’ve moved to Colorado it hasn’t been a focus. This year, I want to entertain more and use that as an opportunity to spread the JOY! 3. Complete my NASM Personal Trainer Certification (CPT). I mentioned this briefly a few weeks ago, but I have enrolled in the personal trainer certification program through the National Academy of Sports Medicine. This is one of the most respected accredited programs and my goal is to pass the test by the end of March 2014. I can’t wait to expand our BWV Multisport online coaching to include personal training services! 4. Get back into Multisport Racing. I’m excited to race again this year and I’m starting with a three-race duathlon series in April & May! It’s been about two years since I’ve raced, so it will be interesting to see how my body reacts to short-course racing again. I can’t wait to find out! 5. Stronger Onstage in 2014. I’ve got two new shows on my radar for the coming year – the WBFF Denver Fitness And Fashion Spectacular (the name’s a bit over-the-top, I know) in July and the Warrior Classic in August. I’m starting off-season training with my trainer again next week, so I have plenty of time to get ready to WOW! at these shows. In addition to these goals, I don’t want to lose the sight of balance! While I made big progress last year in that area, I want to keep that momentum as I move forward into the new year. What is your focus for 2014? 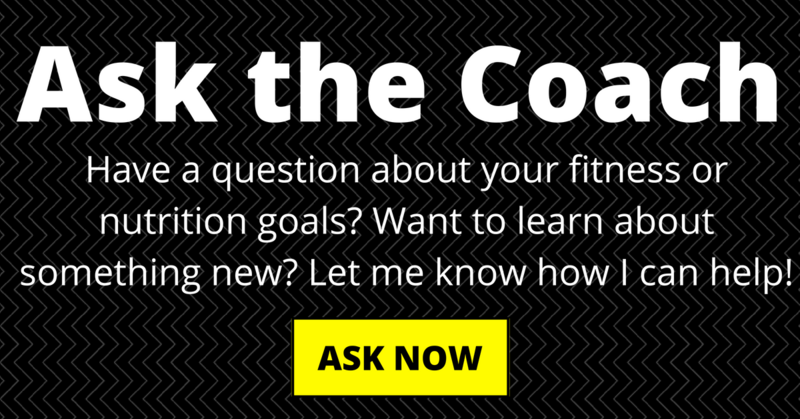 Do you like to set goals for a new year?